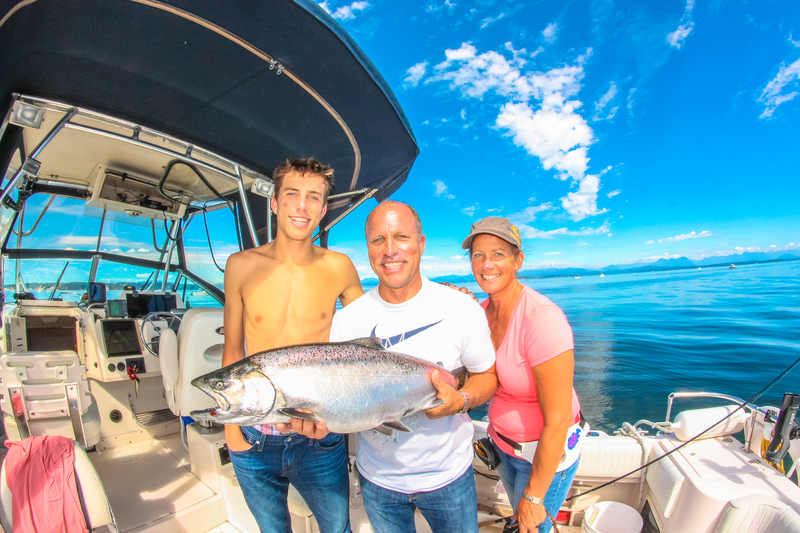 Experience calm ocean, warm weather, great fishing and patient fishing guides! Let our Vancouver Island fishing guides give you and adventure to never forget! 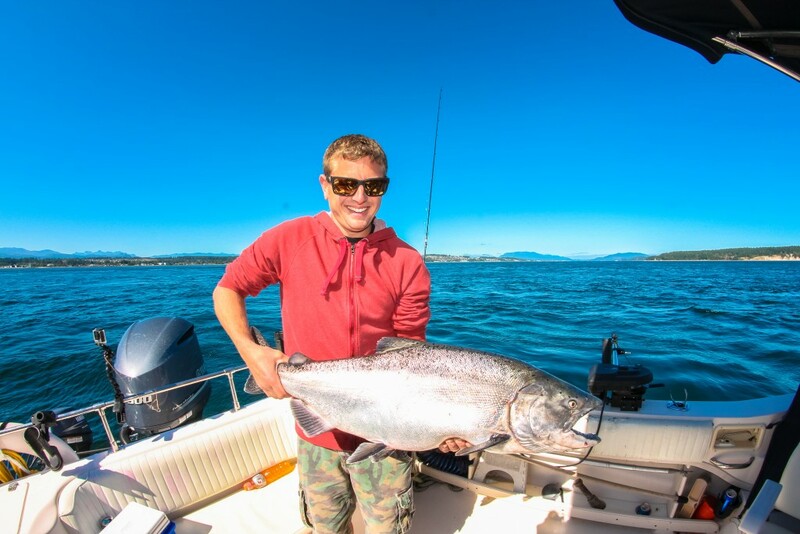 Based in Campbell River on the east central side of Vancouver Island, we offer Vancouver Island salmon fishing trips in calm seas that avoid sea sickness so that anyone can enjoy some great Vancouver Island Salmon Fishing in comfort! 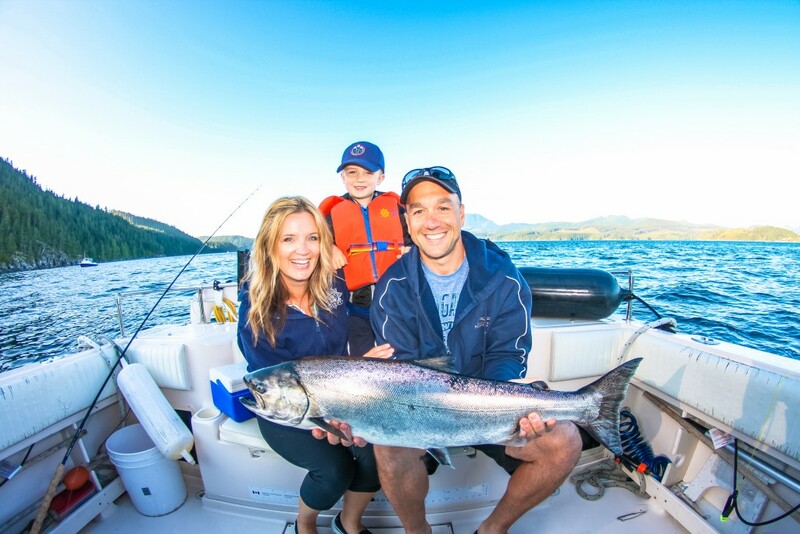 For your comfort all of our fishing is from 23′-28′ covered, Gradywhite or equivalent boats. 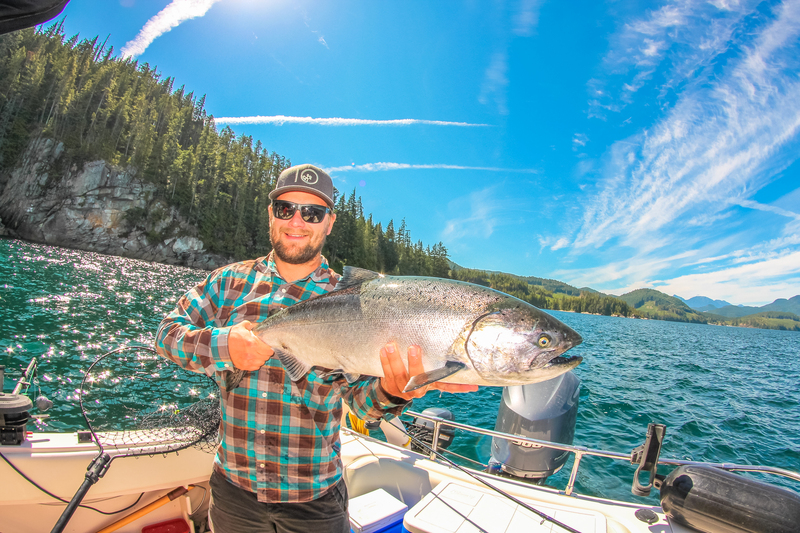 They are Transport Canada Certified and offer on-board toilets, heaters and the best equipment, tackle and electronics on the market. Your safety and comfort are something we take very seriously. 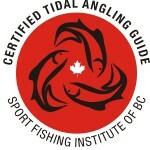 We pride ourselves in being members of the Sport Fishing Institute’s Certified Tidal Angling Guide program to ensure you that we are what you’re looking for. We know that you have a choice of which outfit you go with, and we’d like to make sure when you come with us that you are coming back for years to come. All of our guides are versed in all local methods of fishing on the Saltwater, and we will fish any style that suits you! 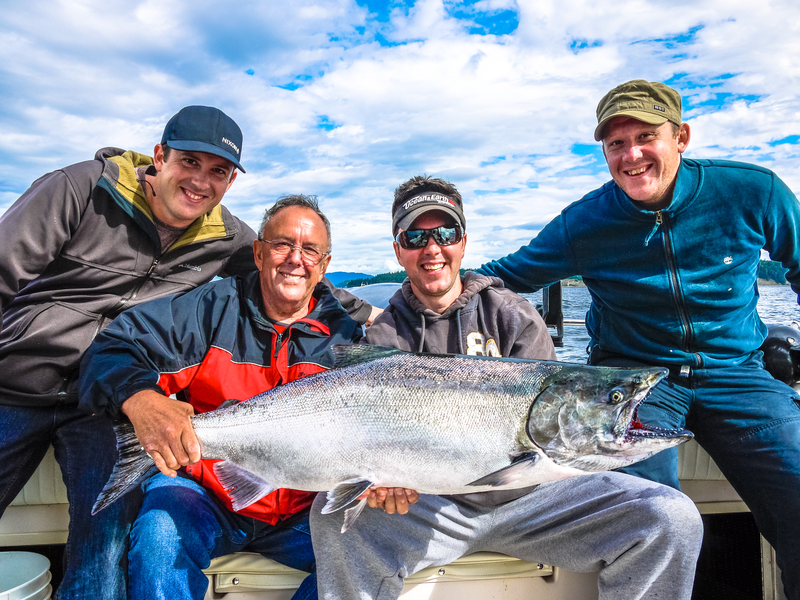 We will recommend the best opportunities and tactics for your day to catch Salmon, and accommodate down rigger trolling, light tackle, jigging, fly fishing and more. 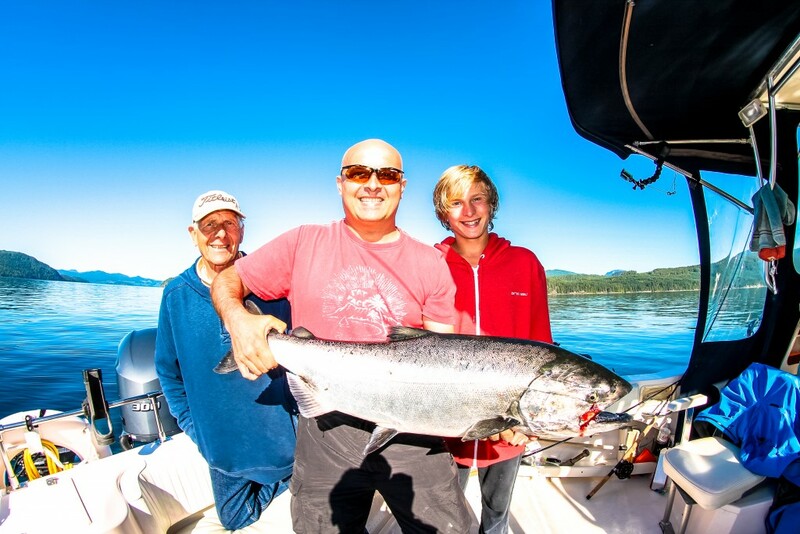 Your Vancouver Island Salmon Fishing Charter will be an unforgettable experience! 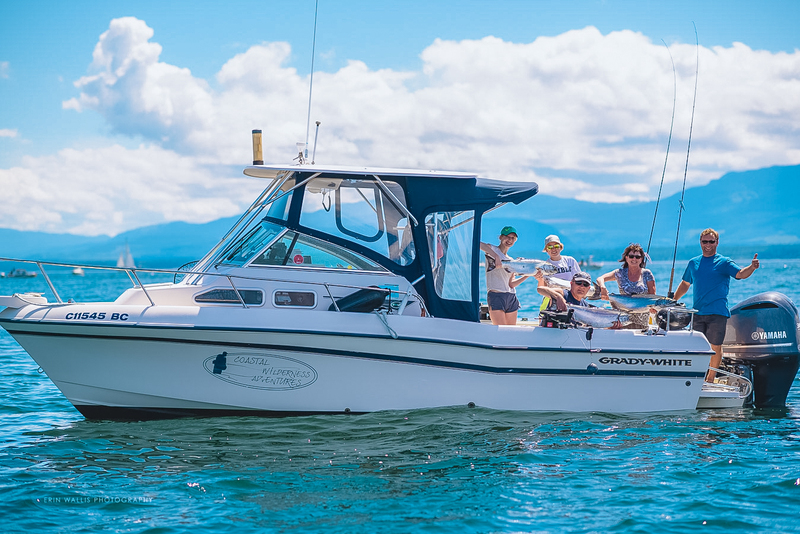 The serenity and beauty of Vancouver Island Coastal waters must be seen to be appreciated. Our wilderness scenery is, bar none, some of the best in the world. Breathtaking coastal mountain views, abundant wildlife and crystal clear waters are everyday sights on Vancouver Island. 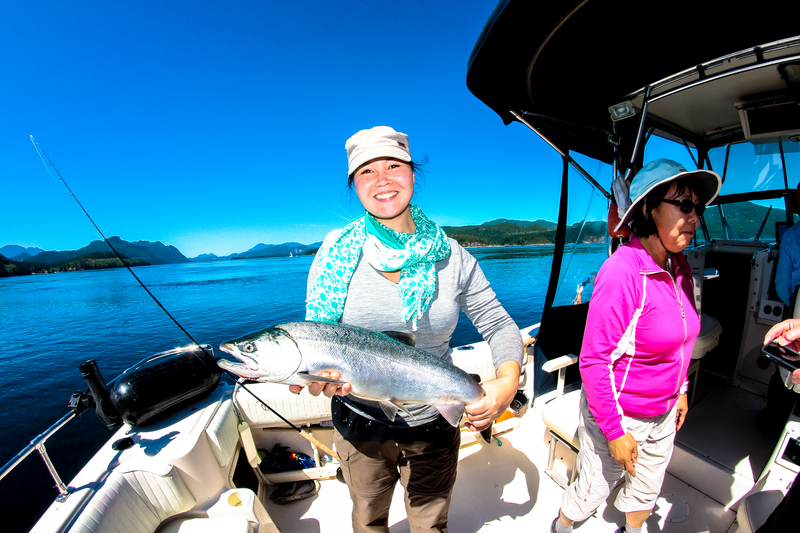 First time Salmon fishing? We’ve got you covered!